KJIPUKTUK (Halifax) – It’s very tough going for the Alton Gas water protectors these days. With the recent injunction, the forcible removal of the grandmothers from the river site, altogether the total disregard for Treaty rights, and yesterday the mean-spirited destruction of the straw-bale house, it may look as if the water protectors are fighting a losing battle. However, looks are deceiving, and Alton Gas has its own share of problems. Freedom of Information documents and emails recently released to the Alton Gas water protectors reveal how they have been correct all along when they say the project rests on a shaky legal foundation. As the waters protectors point out in a news release, the documents show that Alton Gas cannot release brine into the Shubenacadie River without contravening current Environment Canada guidelines. Let this sink in. Alton Gas, federal and provincial politicians, and our environmental bureaucrats don’t know yet how to legally release the brine into the river. That’s alarming for a project this far into construction. You have to wonder why the public was never informed. All that was ever said by the company and by our environment minister is that things were going just swimmingly. Clearly that was a lie. The released documents do explain the announcement by Environment Canada earlier this year that it will develop regulations around brine releases into the Shubenacadie River. Without its very own custom-made regulations the Alton Gas project would be doomed. Meanwhile, journalist Lindsay Jones, writing for the National Observer, found that AltaGas, owner of the project, has been busy lobbying Federal bureaucrats and members of parliament behind the scenes. In 2018, AltaGas had five meetings with Environment Department officials in Ottawa, and two with Liberal Nova Scotia MPs Sean Fraser, who represents Central Nova, and Bill Casey, for Cumberland-Colchester, the district where the Alton Gas Project is located, Jones writes. We don’t know what was discussed. More secrets there. Lindsay raises the spectre of the SNC Lavalin scandal, pressures out of plain sight to accommodate a powerful company. The forces behind the project are secretive and don’t care one bit about the land. 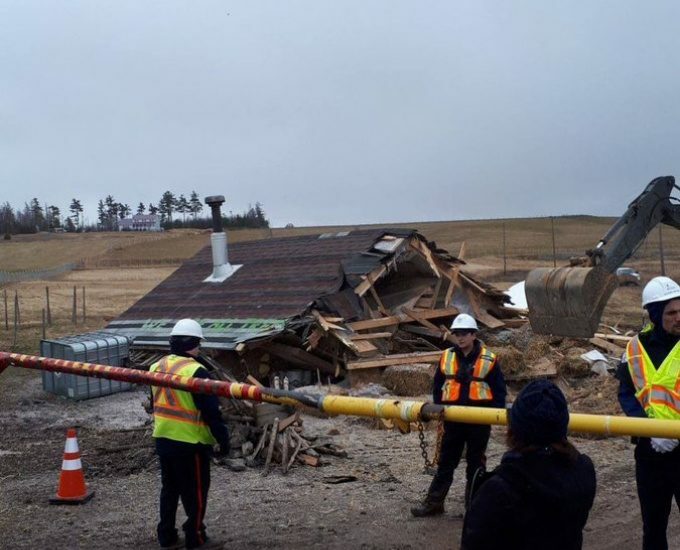 But despite everything, the water protectors are still there, the Treaty Truck House still stands, and Alton Gas has another major hurdle to clear. You have to believe truth will prevail in the end. Next Post Good Friday is a holiday – Will you get paid?